At the start of this year, the Quidditch community was shocked by the sudden departure of former National Champions, Wrackspurts Quidditch Club. A staple of the Victorian Quidditch scene since 2013, there has been very little in the way of explanation as to why one of the best clubs in the country simply folded. Some time after, a new club was formed out of nowhere; the Melbourne Ravens. 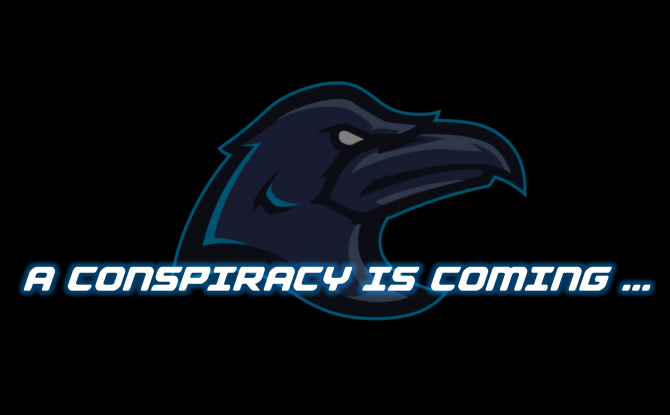 With a slick social media presence ominously stating that “a conspiracy is coming”, many (this writer included) thought that there would be a huge story behind the Wrackspurts collapsing and re-forming as the Ravens. Turns out, to save you a google search, a conspiracy is just a collective noun for ravens. After two weeks of competition in the Victoria Cup, the Ravens find themselves at 1-1, with a convincing win over the South Melbourne Centaurs‘ second team, the Minotaurs, and a close loss against defending National Champs, Whomping Willows QC. QA Today recently sat down with the Coaches of the Ravens club, Dropbears Deni Tasman and James Williams, to chat about the new team and how they came together. Let’s start with the elephant in the room. Over the off-season the Wrackspurts ceased to be, and the Ravens popped up out of nowhere, reportedly with heaps of Wrackspurts players. What happened? Which teams have Ravens players come from? Are you all former “Wrackies” or have you recruited from other teams? It was all but a few ‘Spurts who decided to hang up the boots, and the Ravens were lucky enough to snag a few of them before they flew away forever. In saying that, the Ravens are made up of a bunch of scalliwags from all over, most changing teams for their first time. We boast a mix of ex- Muggles, Manticores, Unicorns, Wrackspurts, Leadbeaters and Dropbears. You may see a fresh face or two as well. The social media presence is looking super slick and professional. Was there any reason behind the Raven name and theme? Thank you! A lot of the hard work came from social media wizards Kye-Lee Cheong and Sherry Du, our resident graphics genius Massimo Galli, and the fantastic Mr. Fox from Skulk Art & Design, who did all our original logos, designs and branding. Why Ravens? Honestly it was the only name we could both agree on. Black always looks good and James kept complaining about having something easy to wash.
You’re a “new” team full of experienced players – how do you rate your chances in the Vic Cup? 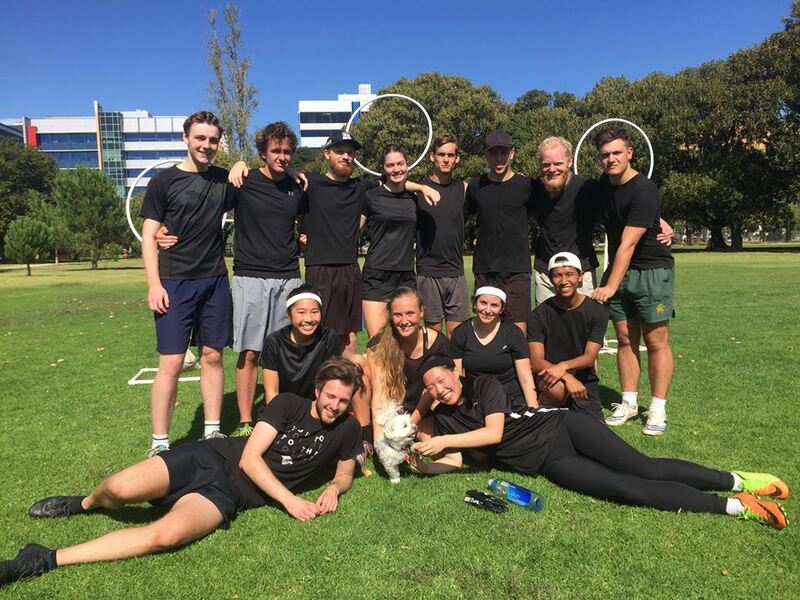 Our team, although having some quidditch experience, are all coming together as a new team. So we’re starting from the ground up, which is something both exciting and daunting for the team and the coaches. We’re all quite excited to play some good quidditch, which is our main concern for our first season as a new team. If people wanted to join the Ravens, how could they do that? When are trainings? All inquiries can be directed to our Facebook page, Melbourne Ravens Quidditch Club. Trainings are currently for team members, although any aspiring Ravens out there are urged to shoot us a message. We’re always open to suggestion! Help Team Australia: The Dropbears at the World Cup! Quidditch Australia and its activities are not licensed by, sponsored by, or associated with Warner Bros., J.K. Rowling, or their affiliates. ‘Quidditch,’ ‘Harry Potter’ and all related names, characters, and indicia are trademarks of and © Warner Bros. – Harry Potter publishing rights © J.K. Rowling.